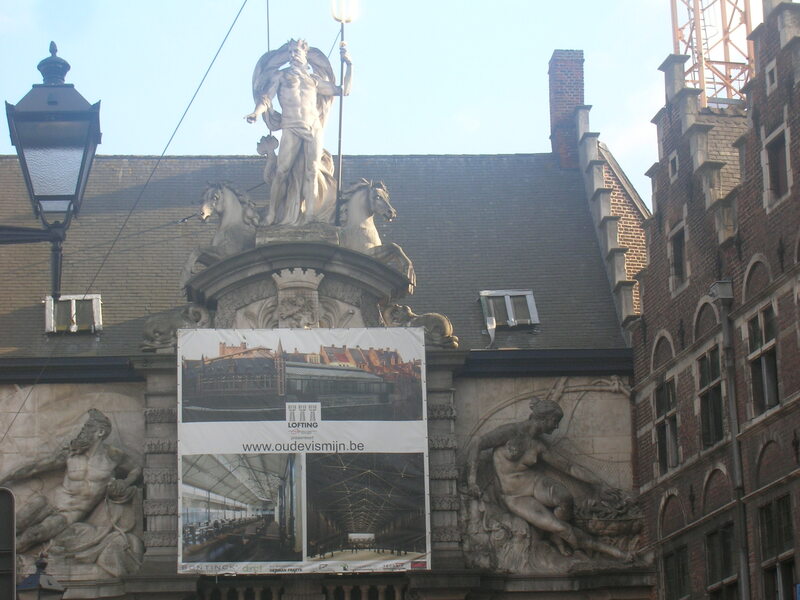 When I visited Ghent in September 2009, my first impression of the city was: dirty. Walking from our B&B to the city center, there were a lot of trash on the streets, with bags so full sometimes that the trash was just scattered all around. We only spent one night in Ghent so perhaps it was just trash day. Much of the historic city center was under construction so there were big mounds of sand. I wasn’t bothered by this though because it meant that Ghent is a breathing living city, with inhabitants living their daily life, instead of being a sanitized version of a city overrun by tourists. Yes, I realize I’m one of those very tourists 🙂 . One of the very first sights was this construction pit. It was quite fascinating as it seemed to unearth older buildings buried underneath. As you can see, lining some of the pit walls were blue ceramic tiles. 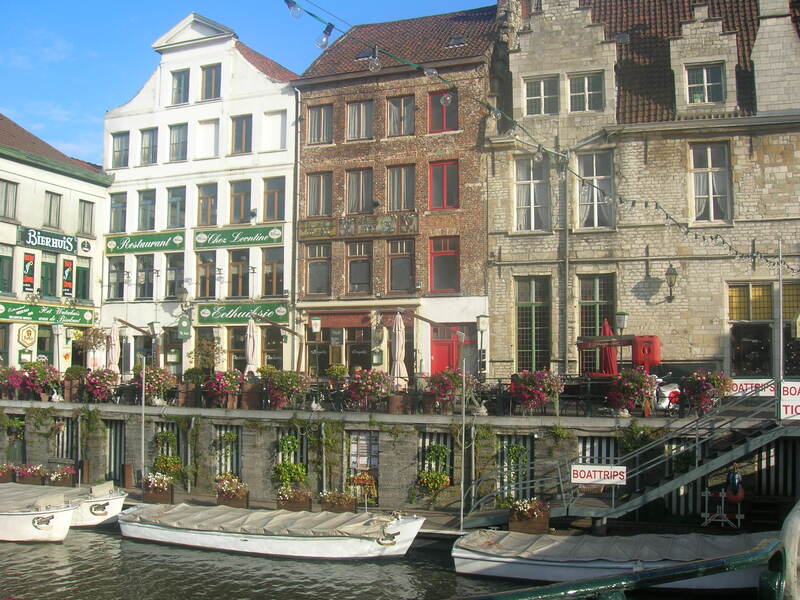 Ghent is the Flemish capital of Belgium and it’s famous monuments date back to the 11th century. History lovers, especially of Medieval European history, should definitely visit the city as the architecture is largely preserved. Walking around I didn’t bump into any tourists with cameras or tour groups, which was a welcome contrast to Brugge. 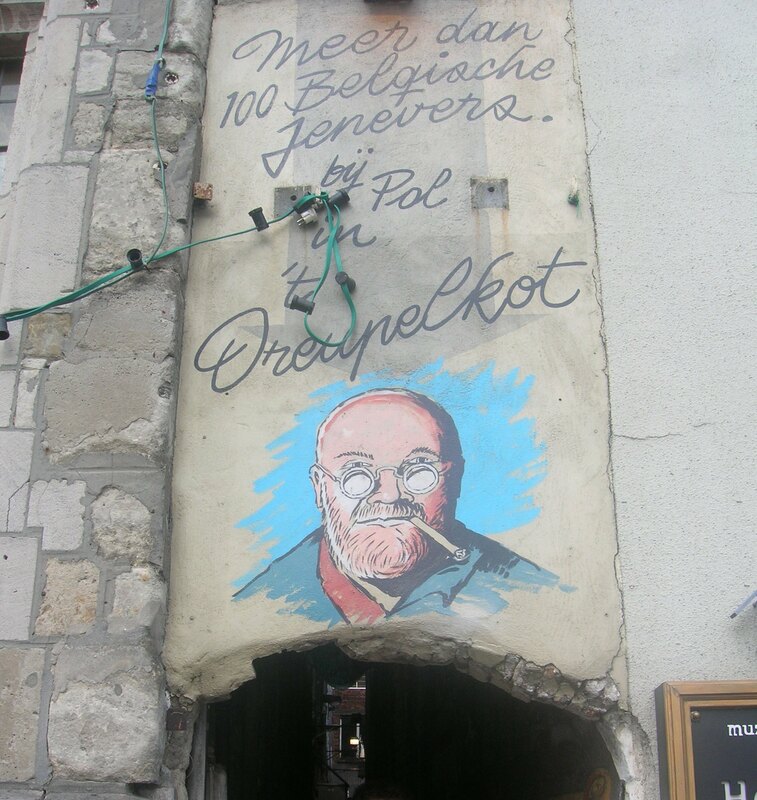 As Ghent is home to Ghent University, we saw many students out shopping and just hanging out on the streets and cafes. 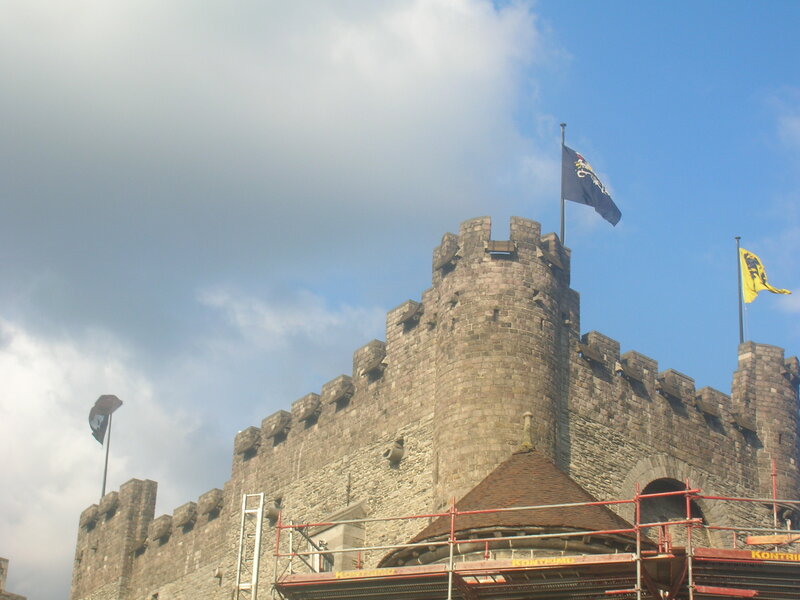 Here is Gravensteen castle – built in 1180 by Philip of Alsace. He modeled the castle after castles he saw when he was on the second crusade. Friday market (Vrijdagmarkt), which is actually a plaza with a market on Fridays has a statue of Jacob Van Artevelde, famous leader and protector of Ghent, in the middle. I like taking photos of a city’s posters and art as it gives me a glimpse of the residents’ daily lives. First poster, which was actually pained onto the wall, was above a tunnel leading to a bar. It advertises that they have more than 100 Jenevers, a traditional alcoholic drink. Second poster advertised a new restaurant and event hall in what used to be an old fish market. Third poster was for a movie. The naked butts definitely would not have been blown up and put on the side of a building here in the U.S.! We had a very nice dinner at stylish and trendy Cassis Restaurant, one of the numerous restaurants that line Friday market. Cassis, decorated in warm golden tones, has a terrace which overlooks Friday market. Unfortunately, the day was too cold for us to sit outside but the interior of the restaurant was quite posh. Yes, that’s fried rice. The hubby and his dad both ordered that. 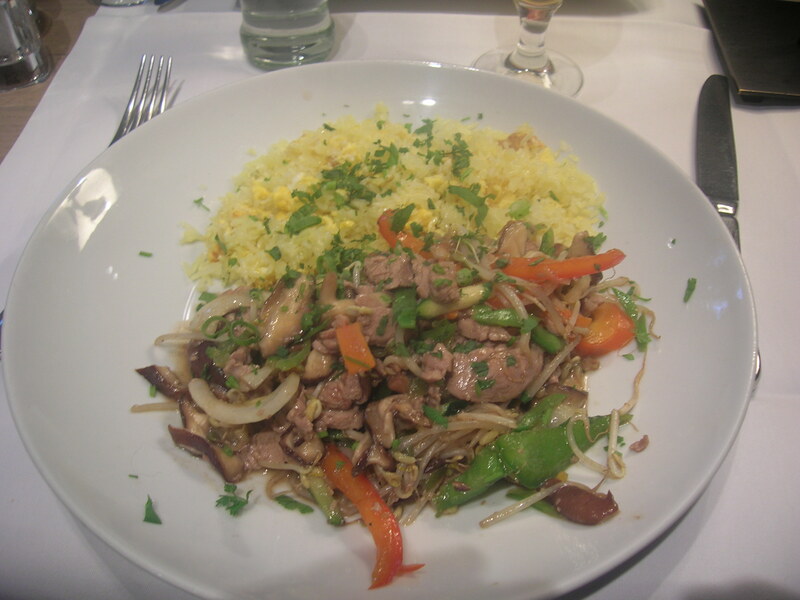 I didn’t come all the way to Belgium to eat fried rice, no matter how good it is! 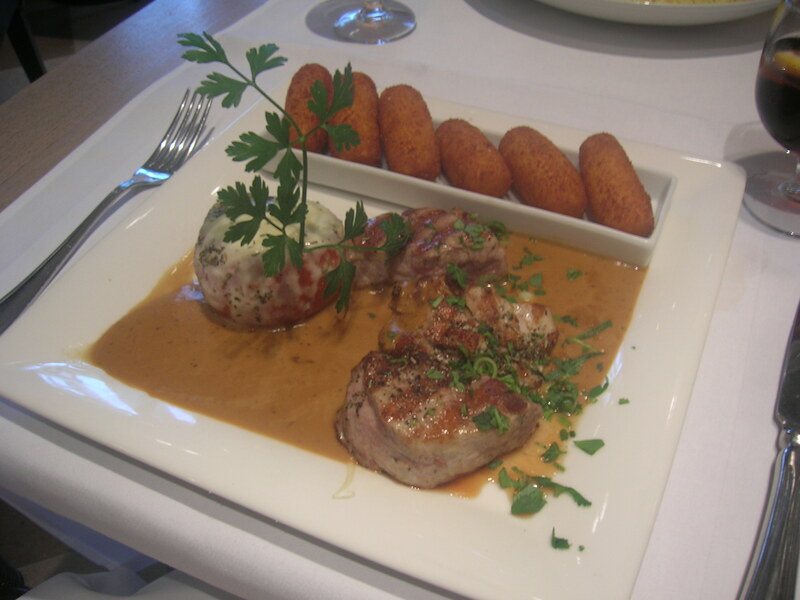 Second photo: potato croquettes, Kobe beef, and tomato with risotto (stuffed inside). 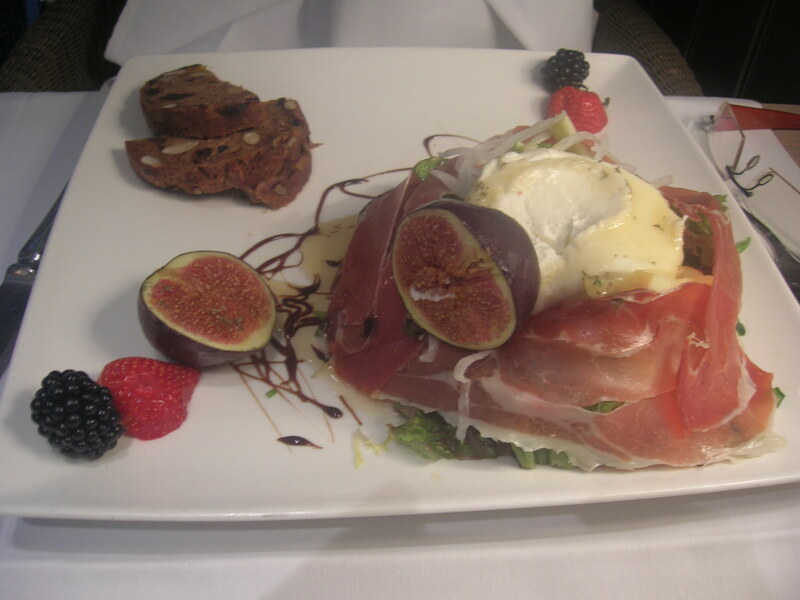 Third photo: mother in law’s dish of salad with warm goat cheese and figs and berries. It was a great way to end our visit of Ghent, a somewhat gritty but real city that has kept hold of it’s great history.